MUST SHARE! 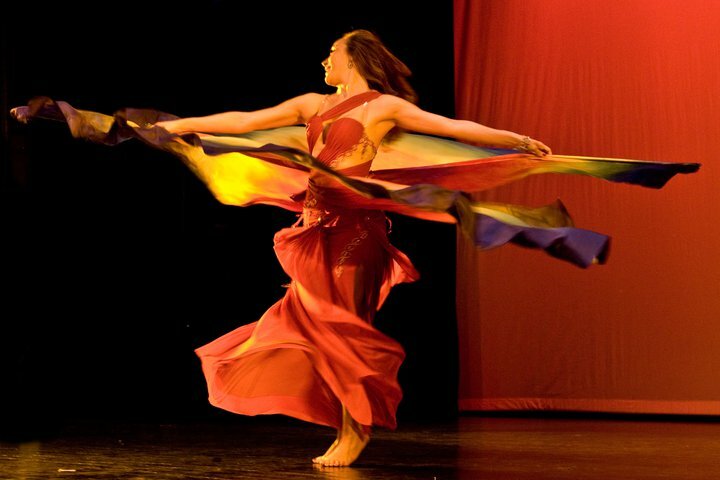 : Beautiful and talented Bozenka performing with Classic Rainbow Silk Wings by Fairy Cove. Order Wings here. 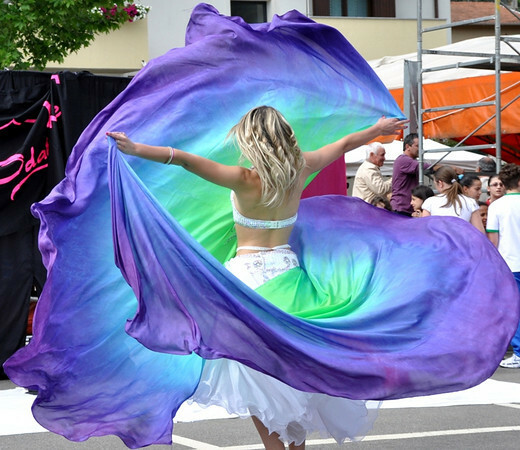 You can find past home page pictures featured on the 'beautiful silk photos' page in the top navigation. MUST SHARE! 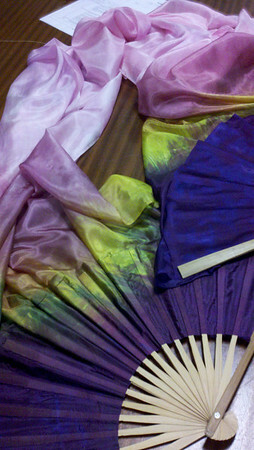 : Beautiful and talented Sedona showing an amazing array of playful color with her custom dyed silk fans! featured colors: Paradise Sky Plus Sun! You can find past home page pictures featured on the 'beautiful silk photos' page in the top navigation. Notice the wondeful technique of costuming with the gypsy sleeved choli tucked under her bust! Beautiful large stave fan! would you like a 5mm VEIL in this colorstyle? APRIL 8th, 2011: SARAH SKINNER, dancer and photographer - amazingly photographed with Fairy Cove Silk Fans in Cream Lace! 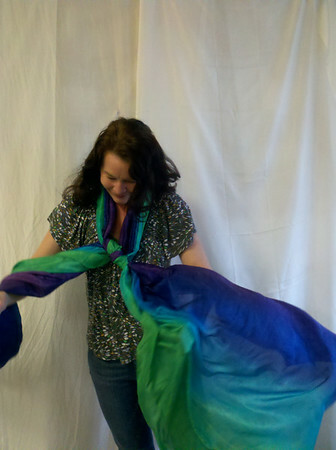 Recently our walk-in locals have very much enjoyed swathing themselves in what is an XXLG scarf - a 3yd Ultralight Veil. I never knew we carries such large scarves!! Here next are currently my favorite pair of fans named ' MIRABAI ' they are a twin pair to a custom pair made for Mirabai (she is the creator fan veil fusion dvd) I am pleased to have dyed more of these just recently (APRIL2011) so this colorstyle is official :) and will be stocked in fan veils. and another favorite photo .... such a captured moment!